Release date and price still to be announced. 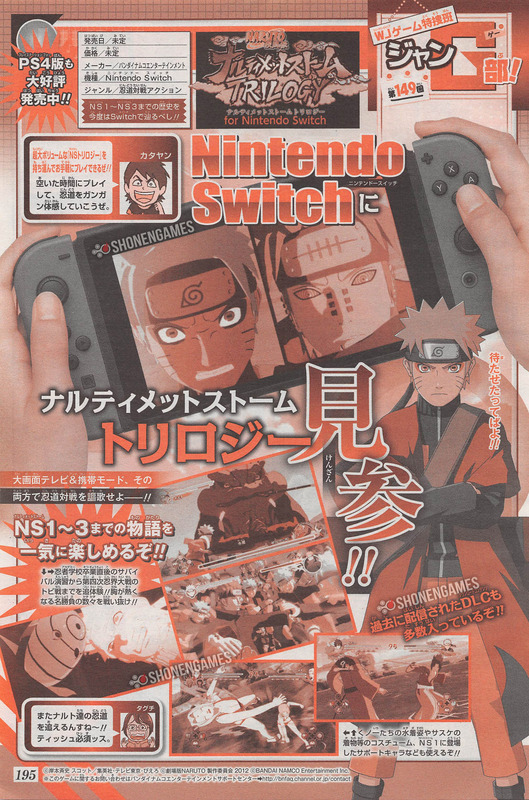 Bandai Namco will release Naruto Shippuden: Ultimate Ninja Storm Trilogy for Switch, the latest issue of Weekly Jump reveals. Naruto Shippuden: Ultimate Ninja Storm Trilogy includes Naruto: Ultimate Ninja Storm, Naruto Shippuden: Ultimate Ninja Storm 2, and Naruto Shippuden: Ultimate Ninja Storm 3. Previously released downloadable content will also be included. A release window and price were not announced. The release of the Switch version is currently only confirmed for Japan.